Hank Whitman, former head of the Texas Rangers and new chief of the Texas Dept. of Family and Protective Services, speaks to a guest at the House Committee on Human Services meeting July 12, 2016 prior to his plans for the troubled agency's future. 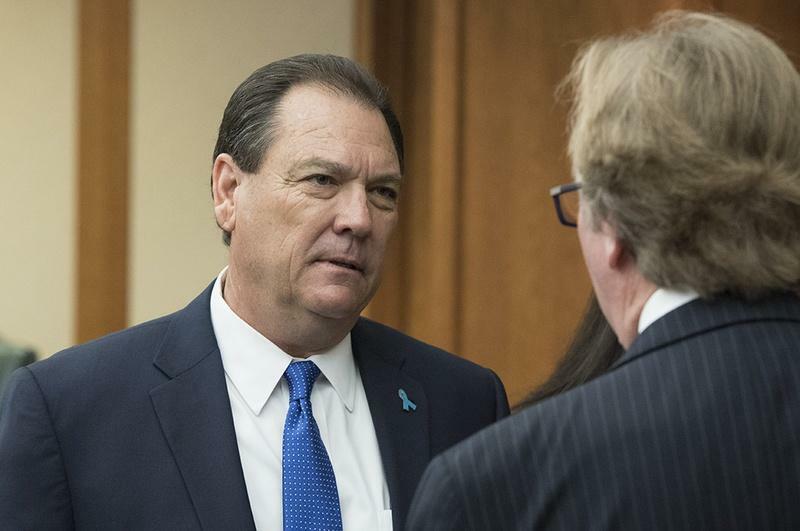 A Texas legislative panel is recommending $75.3 million in emergency funding for the Department of Family and Protective Services to start fixing the state's dysfunctional foster care system, but agency Commissioner Hank Whitman won't get everything he requested. The panel's plan would allow the agency to boost salaries by $12,000 and hire 136 new workers including 50 new special investigators, 50 new investigative caseworkers and 36 new support staff members. Whitman had originally wanted to hire an additional 200 investigative caseworkers and an additional 100 special investigators. The work group report now goes to the Legislative Budget Board. The 10-member panel could go along with the recommendations, or come up with its own plan. No date has been set to act. "Every member of this work group appreciates the difficult work done by our dedicated CPS employees, and we are hopeful that the enhanced compensation plan we've recommended today will serve to improve morale, reduce the unacceptable level of caseworker turnover, and bring much needed stability to Child Protective Services," Schwertner said. The recommendations come weeks after enraged state leaders and legislators lambasted Whitman in letters and at a Senate Finance Committee hearing for failing to spring into action amid reports that thousands of children had gone unseen by CPS workers. Committee members have come a long way since the hearing on Oct. 26 when they side-eyed Whitman’s initial request for $53.3 million for 550 new workers. Whitman upped his proposal to $61.5 million on Oct. 27 to include increasing worker salaries by $12,000. DFPS officials said they were not commenting on the recommendations since the governor’s office was commenting. The salary increases are a big win for the social worker advocacy community. Advocates have argued that upping salaries to more livable wages would rally workers to stay in their roles and attract more competitive applicants for the many open jobs in DFPS. Workgroup members are recommending that new hires receive the $12,000 increase over the course of their first year. Caseworkers made $38,500 in 2014 while special investigators made $45,000, according to reports from The Texas Sunset Commission, which reviews state agencies. New caseworkers would receive $4,000 upon hire, another $4,000 after six months with DFPS — when they're most likely to quit, according to legislators — and another $4,000 at one year of employment. Current caseworkers employed for a year or more already would start to receive an extra $1,000 a month starting Dec. 1. Special investigators would receive a 20 percent raise upon hire with current ones seeing the salary increase starting Dec. 1. Other workers would receive varying wage increases based on supervisory roles. Madeline McClure, CEO of TexProtects, a child welfare advocacy group, said in an email statement the salary increases would help keep quality workers in the department. She also said hiring additional caseworkers is important. “Although salary adjustments in themselves will not alone address CPS caseworker turnover, it should help stabilize the turnover and corresponding vacancy rate closer to the state employee average,” McClure said. But loosening the purse strings would come with strict conditions and fast timelines. Agency officials would be required to provide weekly reports to the Senate Finance Committee until June 1 detailing how caseworkers are doing seeing endangered children, or so-called priority one and priority two cases. The department would also need to report how many priority one children have gone without face-to-face contact over the course of one, two and four days. Lawmakers are charging the agency to make contact with 90 percent of children within 24 hours by March 1. 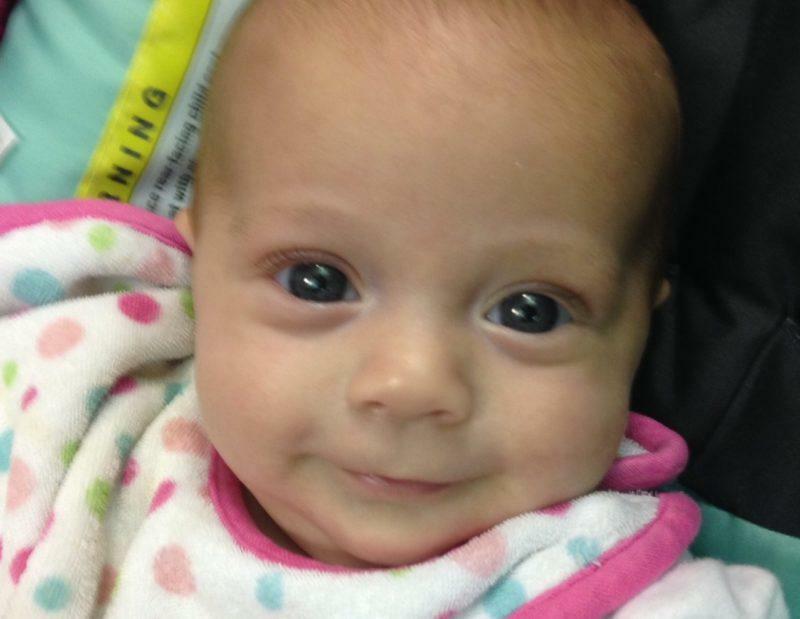 Three months later, on June 1, 95 percent of children would need to be seen within a day. Miriam Nisenbaum, executive director for the Texas chapter of the National Association of Social Workers, said the work group plan is “a good start” but increasing salaries will not be the “magic bullet” to resolve the crisis. She said it will be difficult to recruit people devoted to staying in their jobs longer than just a few months or a year. She also said the report does not mention how the new employees would help ease the heavy caseloads CPS workers often endure. The work group report also come just days after a Nov. 4 federal report urging the agency to overhaul its practices. Under a federal ruling Texas had to hire two special masters to look into DFPS workings and find potential fixes. Big-ticket item recommendations included CPS worker caseloads and high turnover rates in the agency. Investigators are recommending that caseworkers have between 14 and 17 cases and building up the number of cases workers take on over time. The Senate workgroup recommendations don’t mention the recent federal findings or refiguring caseload numbers for employees. Sen. Jane Nelson, R-Flower Mound, chair of the Senate Finance Committee, said in a news release that the next steps for the workgroup include doing a deep dive into the CPS budget and the agency’s appropriations request for the upcoming legislative session. “We need to target our resources the right way, or find ourselves back in crisis mode,” Nelson said. "This is the first step of a continuing effort, but rest assured we will do everything we can to protect children. There is no issue of greater importance." 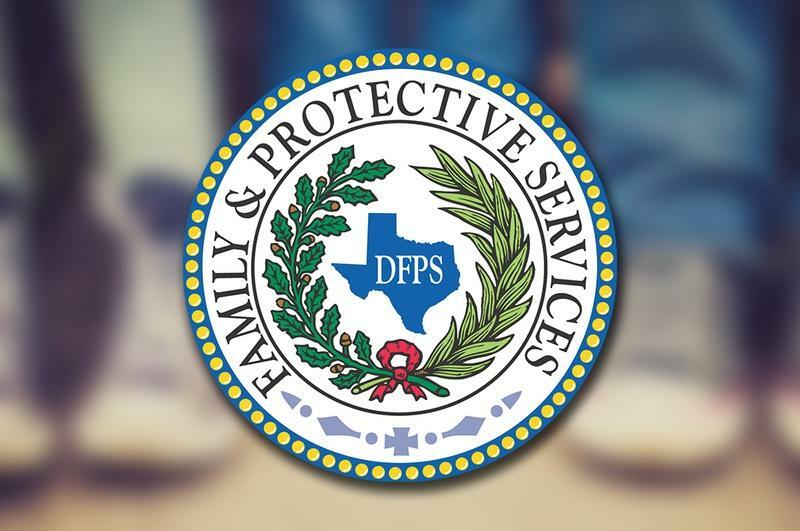 After reports that Child Protective Services caseworkers have let thousands of children at risk for abuse and neglect slip through the system’s cracks, a select team of police will begin to search the state for them. 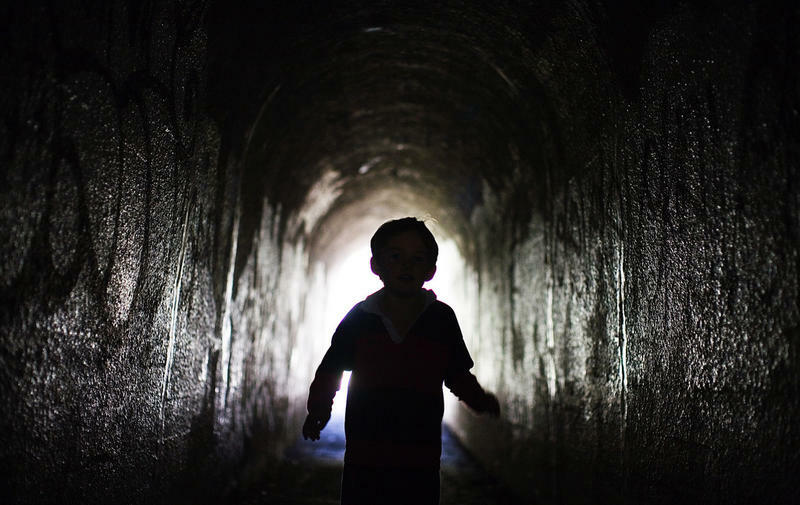 The more than 2,800 children aren’t missing – they've instead been put on waiting lists for state intervention after tips about their safety were called in on the Texas child abuse hotline. The Texas foster care system is not perfect. We’ve all heard stories about children bouncing around from one foster placement to another, or kids who are in and out of the system – as if going through a revolving door. But that’s not the intent. Marissa Gonzalez is a spokesperson for Child Protective Services. "When a child first comes into foster care, it is temporary,” she says. “The whole idea is for them to be safely reunited with their parents." 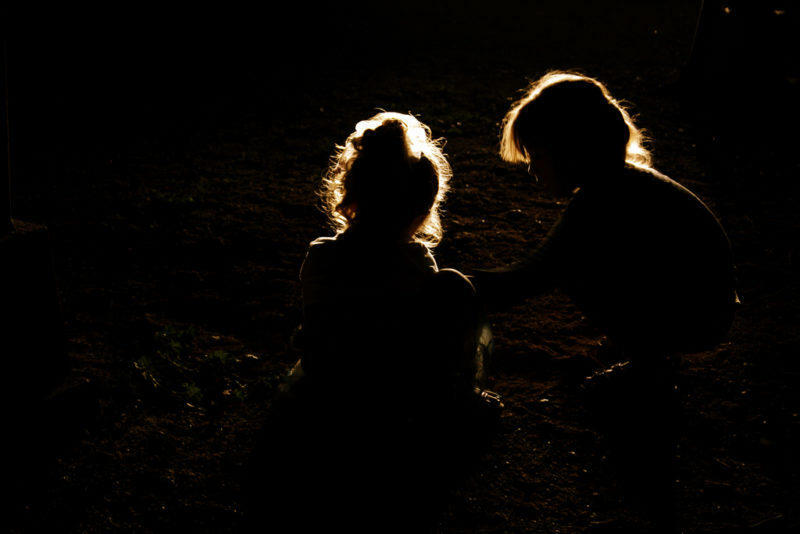 On any given day in the last six months, nearly a thousand of Texas' "highest-priority" children — considered by the state to be at immediate risk of physical or sexual abuse — were not checked on even once by Child Protective Services investigators.